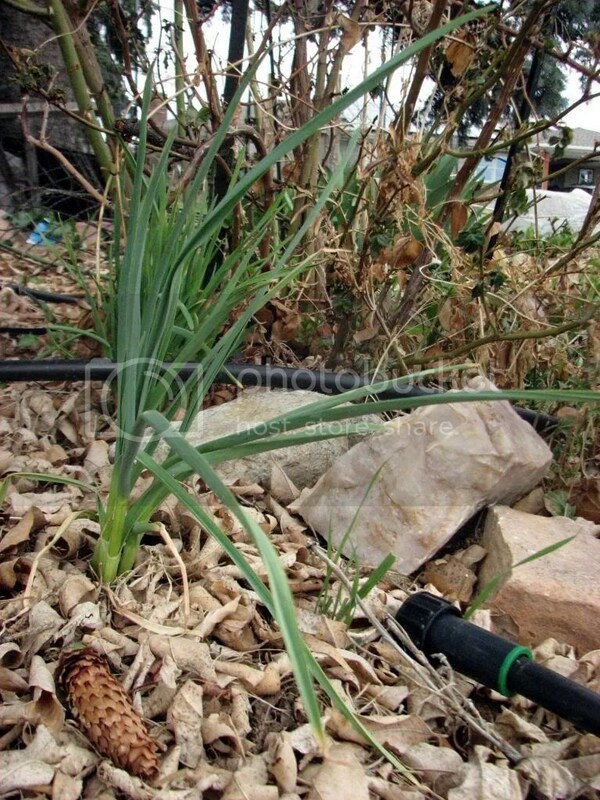 Survivor Chives and Garlic. We love the spring herbs because they arrive with their bright flavors despite wild weather fluctuations. 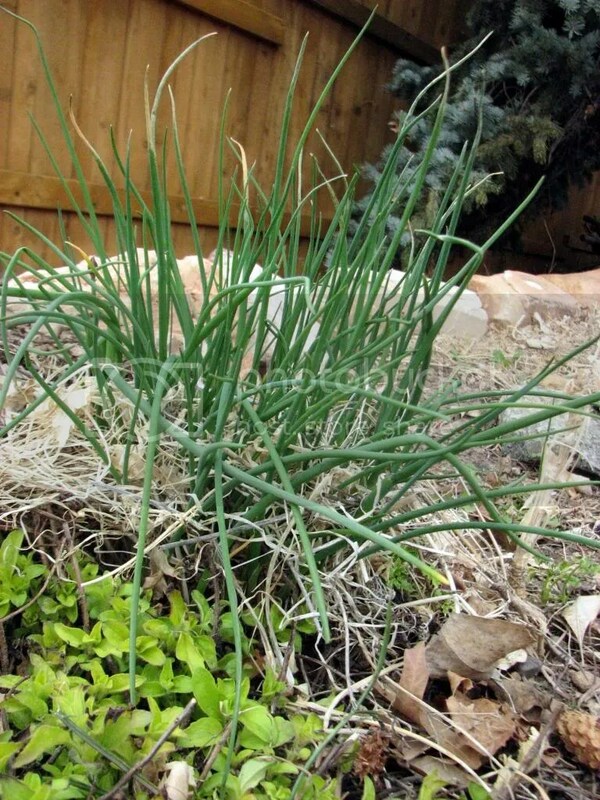 These chives and the garlic below just survived a surprise storm that dumped 14″ of snow and dropped temperatures to 9 degrees! ¼ to ½ cup roughly sliced green garlic shoots (from about 4-5 medium shoots), more or less to taste. Green Garlics rising up from the last year’s fallen leaves. Use as is for a tangy, sharp flavor. For a milder flavor, use the smaller amounts of herbs, simmer in a small saucepan for a couple minutes, and/or add a little more apple juice concentrate. Sound advice from one reader via email: “If one is dating anyone they both better eat the Garlic-Chive Sauce.” Thanks for bringing that critical piece of information to my attention–the sauce can be strong!